Before I start this post and “my opinion” I just want to say that Christmas can be as grand or as low key as you want it to be, just be you. 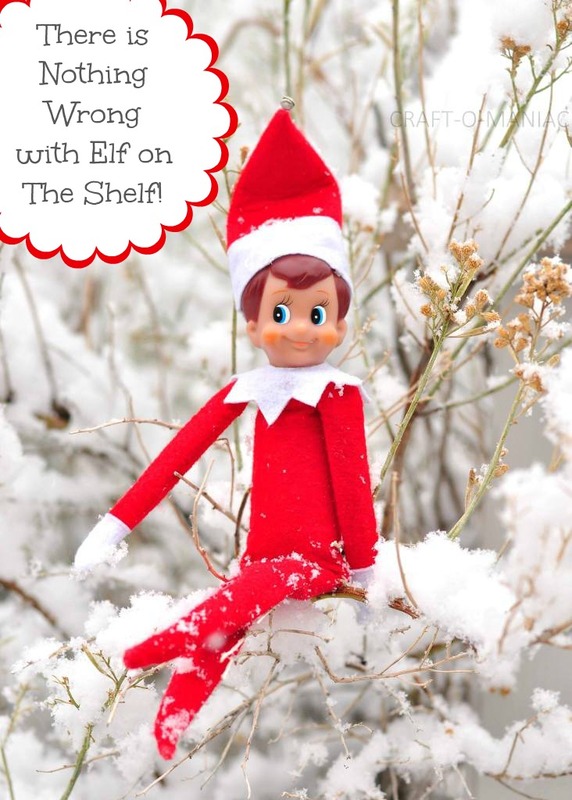 That said, today I am talking about how There is Nothing Wrong with Elf on the Shelf. Over the last 3 years I have read a lot of posts about how creepy that elf is, naughty, annoying, to much work, etc. I remember thinking how awful I felt reading some of those posts, when all I could feel from our elf was joy, giggles, and making memories. I remember reading how the elf doesn’t teach the kids anything good etc. etc. The first somewhat “negative” post I read about Elf on the Shelf had me pretty upset. I remember thinking how could something that was supposed to bring more of that magical feeling into your home, with the spirit of Christmas, be bad? It seems like now a days there is more and more negativity in the world, on social media, and even right down to the mean, rudely sarcastic, and even some overly crude e-cards I read. I really thought, my goodness now EOTS is getting a bad rap too? Come on? When I think of our elf “Simmie” I think of the day he became a new Christmas tradition for our familly and our very own ” elf.” I will never forget the looks on my kids faces that day, the wonder in their eyes, and magic that they all must have felt. To me that was what it was and still is all about. Simmie instantly became a friend to all my kids, even my oldest who is “13” (and knows the truth about Simmie) still asked me this year, if we were doing EOTS? I told him Yes’ of course. So I new in that moment that he still loved this tradition and looks forward to it! Our Simmie does all kinds of things, even the things some might find naughty and that aren’t teaching your kids to be good. Such as spilling milk while getting into cookies, or spilling powdered sugar to make a snow angel in, or drinking to much syrup, etc. Honestly, I think its all good hearted, innocent, and silly fun. The best though is when my kids get a giggle or a good laugh out of it, because truly I am too. I mean after all, I deal with more messes with my two busy little boys, then I ever have with our elf 24 days out of the year. Now, our Simmie isn’t all silly mischief, he likes to make them pancakes, give them a treat from their advent, leave them sweet messages, hang out with the Nutcrackers, hold baby Jesus from the manger, leave them a good deed for the day, and so on. Each and every 24 days my children have another sprinkle of magic to look forward to each morning (even if I forgot to move him the night before, I still think of something to tell the kids via Simmie). In closing I just want to say, in a world where there is plenty of good, there is more and more bad and evil happening each and every day. So if your Elf on The Shelf comes into your home just to bring a little bit more joy, make you forget something awful, (even for just a few mintues), then go for it! Because after all, there needs to be more happiness, joy, wonder, and laughter in the world for all of us. If we can give that to our children just a little bit more, all the while teaching them about the “true meaning of Christmas” (something your elf can even do). Then lets bring more of that lighter, kid friendly fun into our lives because TRULY, there is nothing wrong with elf on the shelf. Simmie your the cutest and the funnest! Simmie and I are so glad you came by COM today. 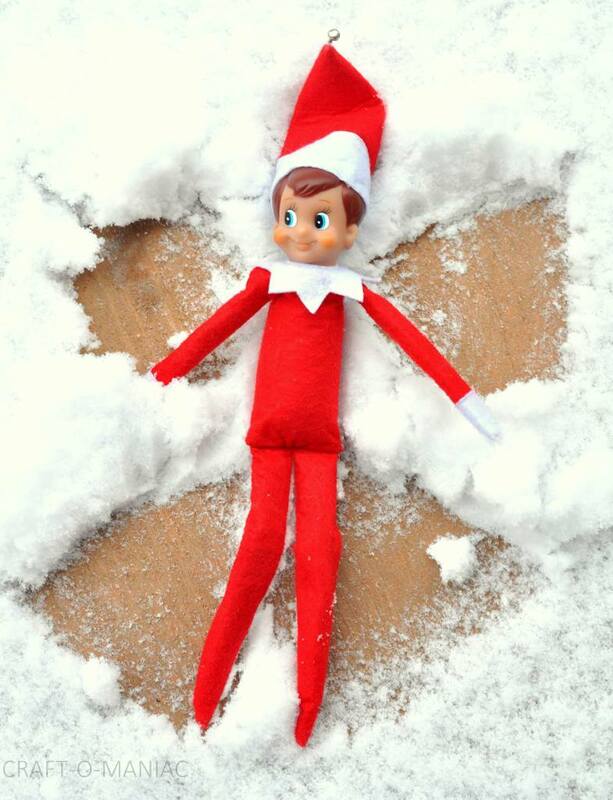 I am one of those people you think the Elf is a little creepy, but I’m so happy it works for your family. Traditions and magic are very important to me at Christmas. Good for you. Yes!!!! Thank you thank you!!! We love our elf and it’s so much fun to see my daughter each year get so excited for Ollie’s shenanigans! !